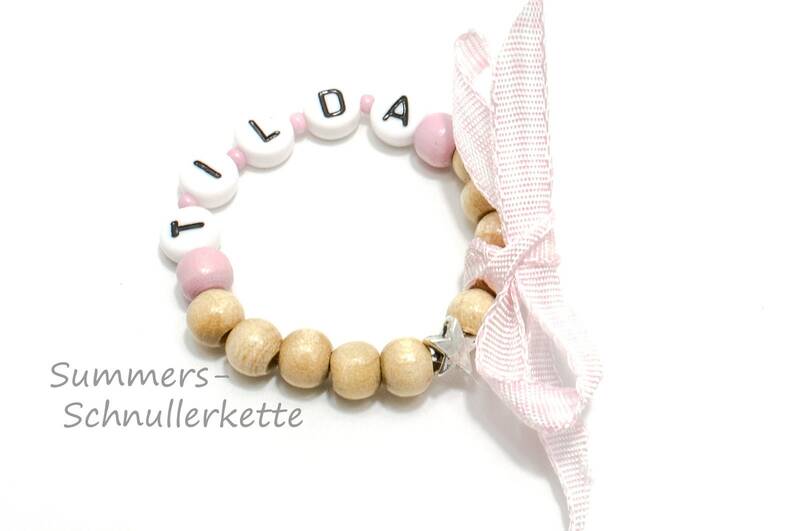 With beautiful wooden beads in nature and pink and small seed beads. The beads are sweat-and saliva-tight, and therefore suitable for babies and toddlers. Centered with metal asterisk, mounted on elastic band with your Wunschanmen. Caution! 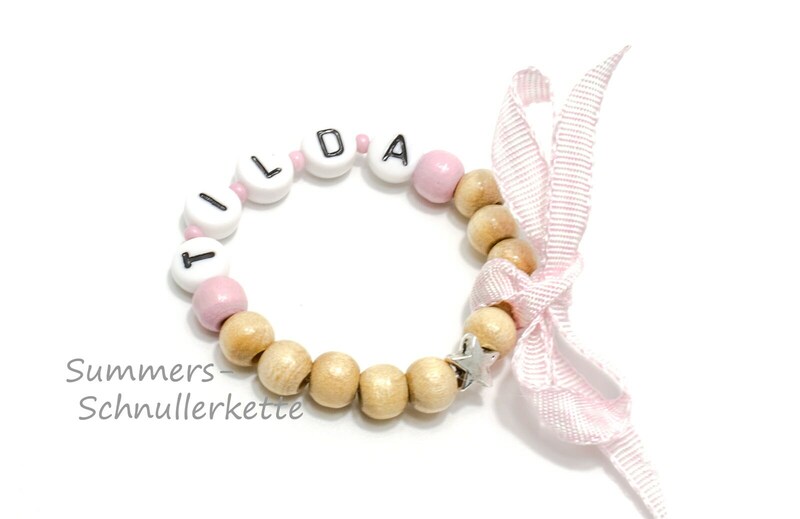 Children under the age of 3 do not wear the bracelet without supervision-it contains swallowed small parts. Suffocation! Mega schön. Würde ich immer wieder kaufen und der Kontakt war auch mega nett.